In the heart of Downtown Roanoke since 1882, our vendors offer locally grown fresh fruits, vegetables, flowers, and plants, plus fresh meats, cheeses, baked goods, and artisan hand-crafted items. From May - September we have free, family friendly activities on our Market each Saturday. Check out the City Market Saturday schedule. Plus our free, family friendly Harvest Festival is coming September 29th! Why shop local at the Historic Roanoke City Market? Connect with the people who grow your food, it's the best way to learn where your food comes from and how it's grown. At our market, you won't find highly processed foods grown with pesticides, hormones, antibiotics, and genetic modification or foods processed by being irradiated, waxed, or gassed. Family farmers need your support to compete with large agribusiness food production. And, prices at our market are competitive (often lower) compared to the grocery store. It’s no secret food in the grocery store often travels a great distance and transportation uses precious natural resources. The products on our market travel an average of 25 miles - no long-distance shipping or weeks in storage! Find an amazing array of produce and products you won’t see in your average grocery store. 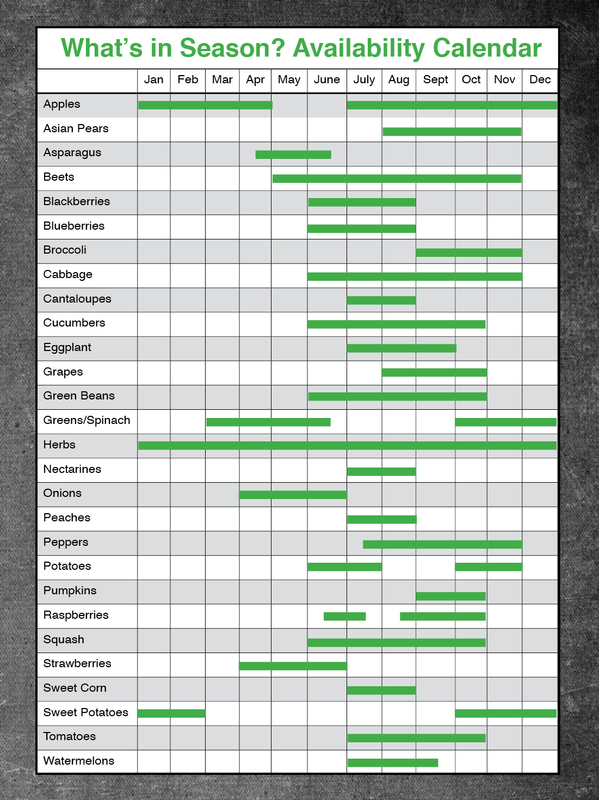 Check our “Availability Calendar” to see what’s in season! Our historic market is in the heart of downtown where a shopping trip is more than pushing a cart around the isle. We're surrounded by retailers, restaurants, museums, and tons of free entertainment! Meet your friends, bring your children and enjoy a great day downtown. Hours: 7 days a week, year-round, 8:00am - 5:00pm. Many vendors use Sunday - Tuesday for planting, picking, and preparing items for sale. In growing season, many vendors are on the Market around 7:00am - 3:00pm. Closed Christmas Day and New Year’s Day. Need help learning where to park? Check out our parking and free parking pages!